WHAT IS FLATHEAD WATERSHED THROUGH THE SEASONS (FWTTS)? in this unique, hands-on, multi-disciplinary learning experience. Come explore your watershed and uncover the many pieces that make our place so extraordinary. Be inspired, learn new skills and gain new knowledge to better engage your students in learning about their place. Why is this place wild? SUMMER-Session #1: Big Creek Outdoor Education Center, Flathead National Forest, MT-June 24-27, 2019. Why is Flathead Lake so clear? FALL-Session #2: Flathead Lake Bio Station, Polson, MT-September 20-21, 2019. Why is snow so cool? WINTER-Session #3: Izaak Walton Inn, Essex, MT-January 24-26, 2020. Why is the Flathead Watershed so vital to our communities? SPRING-Session #4: Lone Pine State Park, Kalispell, MT-April 17-18, 2020. Sessions will be outdoors and require moderate activity levels. Applications will be accepted until the workshop is filled (12 teachers). Middle school and high school teachers are particularly encouraged to apply at this time. 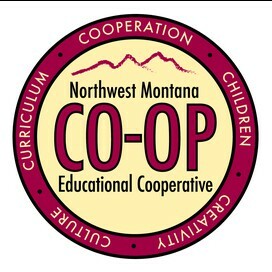 We are selecting to create a diverse group that is representative of all K-12 grade levels, and who teach at schools from all areas within the Flathead Watershed. Thanks to a grant from the Glacier National Park Conservancy, all four workshop sessions are free to the twelve participants selected and there will be mini-grants available of up to $200 for classroom implementation. A $50 deposit must be made upon being accepted, which will be refunded upon successful completion of the program. 40+ OPI Renewal Units are available. FOR MORE INFORMATION AND TO ACCESS THE APPLICATION GO TO www.glacierinstitute.org.